Something Blue Gloucester offer a chauffeur driven Jaguar wedding car hire service. They are a family owned multi award winning wedding car hire company providing chauffeur driven transport for your special day. Covering Gloucestershire and surrounding areas. 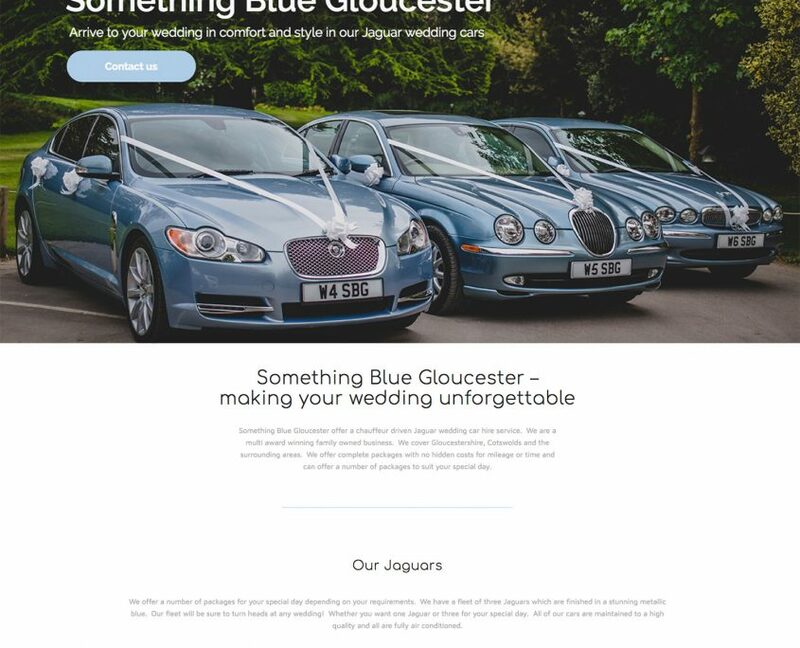 Something Blue Gloucester are a chauffeur driven Jaguar wedding car hire service. They offer services in Gloucestershire and the surrounding areas. The owners have recently bought the business and wanted to revamp the website bringing it into the modern day age. They asked us to redesign their website and take over their hosting. We are also offering them a management service to their website adding regular updates for them. The new website is clean, crisp and Google Analytics shows lots of new visitors to the site since it has been launched. The website has come great images and we also created a video for the website. We are an exclusive media design agency based in Gloucester with many years of website design. We offer website design, web hosting and full website management.